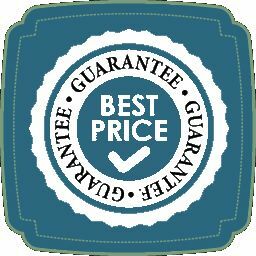 We will not be beaten on prices for like for like products. As the manufacturer of cast iron radiators, we are more than a website or series of showrooms, buying from Cast Iron Radiators Ltd of North Yorkshire guarantees that your order is prioritised because radiators is our business. All of our cast iron radiators are assembled and finished at our North Yorkshire factory in Scarborough. We have the best prices of cast iron radiators in the UK and will beat any like for like quote guaranteed. We only use British gaskets in our cast iron radiators, European engineered joining threads and have industry leading testing facilities, small differences in pricing can often be a result of inferior gaskets or components. If in doubt, send us the quote and if it is similar - our guarantee is that we will beat it. We pride ourselves in good honest Yorkshire value, made in Britain and the highest possible quality with no compromises. We recognise that there are many online stores and regional showrooms where you can buy cast iron radiators - only buying from a manufacturer like Cast Iron Radiators ltd gives you the confidence that you are getting the best deal. Cast Iron Radiators is our business. Call us now on 01723 321 000 to discuss your requirements.